Mimi is a Cincinnati-based public relations and marketing professional with nearly 25 years of experience. As founder of Rasor Marketing Communications, she has overseen management of the agency’s local, regional and national clients in a number of industries since 2005. Mimi’s background includes management of marketing communications research, strategy and planning in both agency and corporate settings. Much of her experience is in healthcare, working with physicians and integrated healthcare delivery systems on both internal and external communications and marketing. 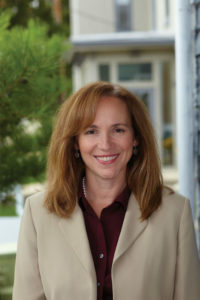 In addition, her firm has specific expertise in public involvement and public information for public transportation and infrastructure projects, as required by NEPA. Mimi also brings to her work significant experience in marketing research and data analysis and reporting, including competitive analysis. She served as a speaker in 2006 and presented a poster in 2015 on measurement dashboards for the national meeting of the Society for Healthcare Strategy and Market Development. Mimi was recognized as a Cincinnati influencer in the fall 2013 Lead Magazine and Rasor Marketing Communications was selected as a 2013 Business to Watch by the Women Excel program of the Cincinnati Chamber of Commerce, as well as a finalist in the Goering Family Business Awards in 2014. Under her leadership, Rasor has received 13 awards from the Cincinnati Public Relations Society of America chapter and a Pinnacle Award from the American Marketing Association. She volunteers on the promotions committee for the YWCA Career Women of Achievement and serves on the board of directors for the Great Miami Rowing Center and the Cincinnati Chapter of the American Heart Association. Mimi holds a Bachelor of Arts in public relations from Miami University, Oxford, Ohio. She earned her APR accreditation from the Public Relations Society of America in 1997.